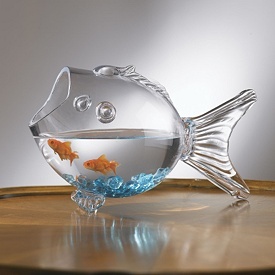 help « Living Life in a Fish Bowl! “Take my hand.” Three words often said to children as an intersection is approaching or in a crowded store. Holding hands is a safety measure. Did you know that God takes us by the hand? Whatever you may face today or in the days to come — remember who is holding your hand. I have come to see that waiting is truly a great gift God gives to me. (Isaiah 40:31) While I wait for the answer, the solution – my faith, hope and trust just grow deeper. Waiting – it seems there are always areas in which I find myself waiting. Sometimes the waiting isn’t so bad but other times the dark night seems to drag on and on. Today is the 1st in a series of 7 posts on waiting. When it seems I am waist deep in the pit of a bleak situation and I feel myself sinking in the mud – I have a few choices. *I can become impatient and try to use my own strength to get out – to change things. *I can wallow in the mud – giving in to self-pity. *I can play the blame game. All of these choices result in sinking deeper in the mud. There is another choice. I can seek God for help. I can cast my cares on Him (1 Peter 5:7) and take this time to go deeper in Christ. How? By reading His Word – I am grateful that each test of our faith is an open book test. Also we grow deeper by praying, taking time to listen, meditating, getting together with others at church to worship, pray, and hear God’s Word, listening to praise music – go ahead Sing! I cry out to God. My faith knows He will help me. (Psalm 46:1) He will steady me. He will amaze. I trust God! Using the waiting time to grow deeper in Christ. Where are your thoughts this morning? If we focus on problems – problems will be all we see. If we see problems as opportunities to see the hand of God helping us – we will start seeing His hand more and more. “But as for me” I love that phrase. It reminds that no matter what is going on, no matter what others are doing, no matter how I feel — I get to choose what I do next. But as for me, I will trust God. But as for me, I will obey God. But as for me, I will nail my feelings to the cross and believe what Jesus says. Psalm 59:16-17But as for me, I will sing about your power. When we put God first, He really does give us wisdom to know what to do and the strength to do it. But as for me, I refuse to get jazzed up about ___________. But as for me, I depend on God. I have often quoted Psalm 46:1 — Our God is an ever present help in trouble. The first part of that verse is equally as important. God is our refuge and strength. When frustration, fear, anger, worry, or stress tries to over take us, let’s not forget where our help comes from and in whose strength we can count on. God, I look to You…..
who’s hand are you holding? Strength – we are strong in Him. Just as a mother will take her small child’s hand when crossing a busy street, God takes us by the hand and helps us to cross our ‘busy streets.’ We need not fear. God is holding us. Holding on to God’s hand cause He is holding on to mine! God is our refuge, hiding place, foundation, peace, shelter in the time of storm, so that we can remain strong, steady, fixed, stable, unfaltering during times of confusion, violence, uproar, and/or utter chaos. Selah – pause and think about that. God is our peace. (Ephesians 2:14) If we allow the enemy (devil) to get us into fear, he can defeat us and keep us trapped in a vicious cycle of fear and anxiety.